An excellent 19th. 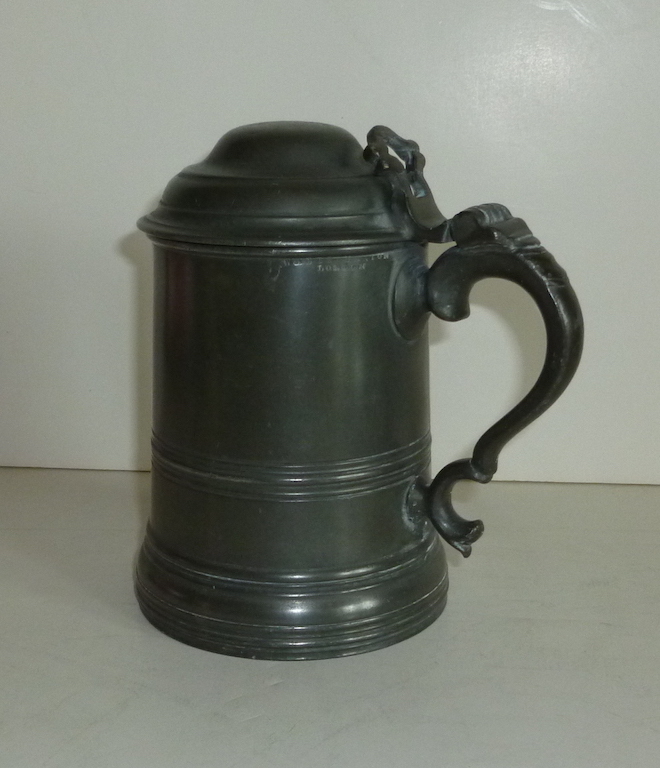 century English pewter tankard with a double curve handle and a star glass base. 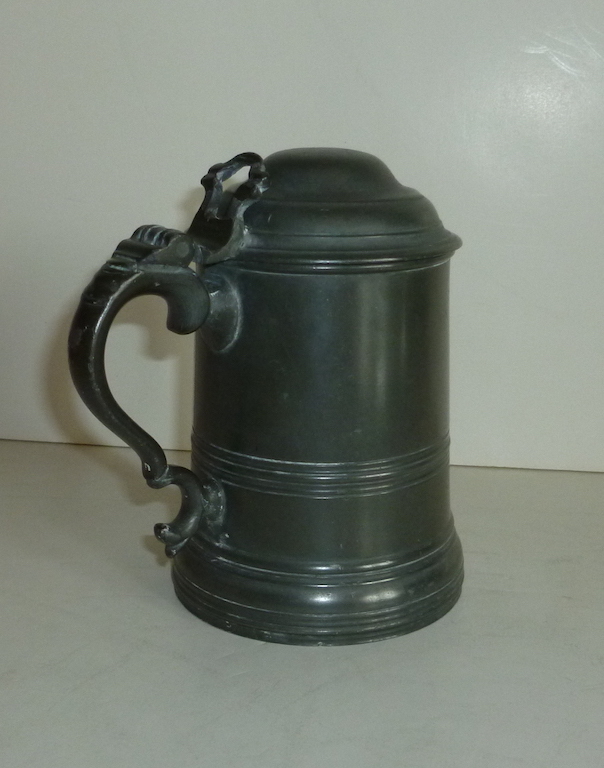 The tankard was made by Watts and Harton who worked in London from 1836 to 1863. The tankard is in excellent condition as is the glass base. 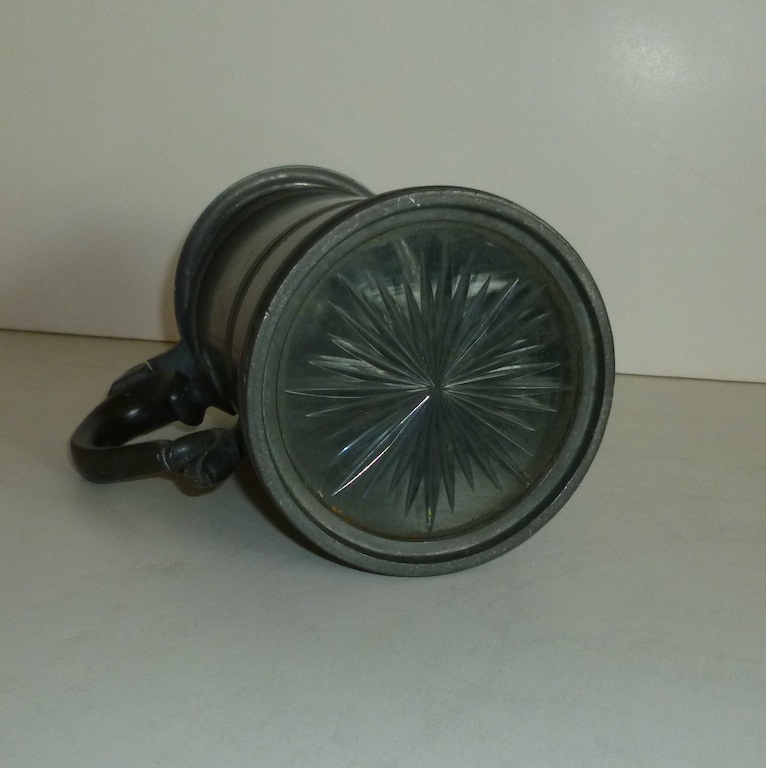 Bottom diameter 3 7/8", top diameter 3 1/4", overall height 6"